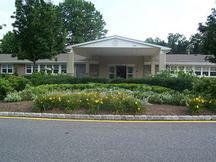 CareOne at King James has been an integral part of the quaint shoreline community of Atlantic Highlands for almost 40 years. The highly acclaimed team of Medical Directors includes Board Certified physicians in Gerontology, Orthopedics and Internal Medicine. The Clinical Team provides 24-hour-a-day skilled nursing care, Short and Long Term Rehabilitation, medical management and complementary medicine and palliative care. For those in need, CareOne at King James also offer Hospice Services to meet their special clinical requirements. Website visitors interested in CAREONE AT KING JAMES were also likely to be searching for these additional terms.